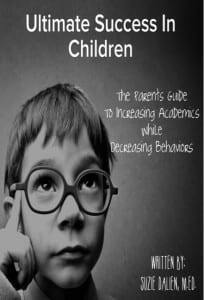 If your child has made it to high school, then you are intimately familiar with the struggles that come with trying to educate a child in today’s modern world. You will have undoubtedly encountered situations you were unprepared for and circumstances that were beyond your control, but you and your child have come to that time when they venture into the next chapter in their education – high school. Every child in this world learns differently, and for children with special needs, adapting to a new environment and any type of change can often be extremely difficult. Though all children benefit greatly from teaching designed to mirror their individual learning style, children with special needs often require this one-on-one approach to reach maximum success. The high school years are tumultuous for a number of reasons, but getting the appropriate education shouldn’t add to the chaos of growing up. There are a number of assistive technologies, and special needs tutoring, that can assist children with special needs as they work towards graduating from school altogether and into their new roles as young adults. If you feel your child has special needs – or if they’ve already been diagnosed as such – you should get in touch with the school’s special education providers to get information regarding the accommodations that your child may need, or what can be done to assist them with their education while learning. Studies have shown that, when compared with students in elementary school, high school students use fewer assistive technologies and require significantly less special accommodations overall. This might be due to early invention practices that helped your child learn in a way they could easily understand, or possibly because children with special needs become better at adapting to their environment as they start getting older. Still, there are those students who need to take advantage of the accommodations that are present and available to them while they attend high school. The range of what is possible depends on the school system itself, so to get a better idea of the services available for your child with special needs contact the school directly, or schedule an appointment to speak with the school’s special education teachers and assistants. What is allowed for special needs tutoring and educational services for those children with special needs varies from state to state, with not all states allowing for uniform accommodations across the board. Materials and Curriculum – This applies to accommodations that affect a children’s work directly, such as fewer assignments, less homework or alternative assignments. Methods and Strategies – This refers to ways that can be provided to help children properly complete their work, such as giving them a self-monitoring sheet, breaking the work down into smaller sections and using study and/or reading partners when necessary. When educating a child with special needs, it’s critical to think outside the box of traditional education in order to achieve the most desirable results. While these are some of the options you might be presented with, it’s important to check with your state’s board of education to make sure what’s allowed is something that will work for your child’s specific educational needs. For children who need a little extra attention and accommodations in order to learn correctly, special needs tutoring might be just the ticket to academic success. 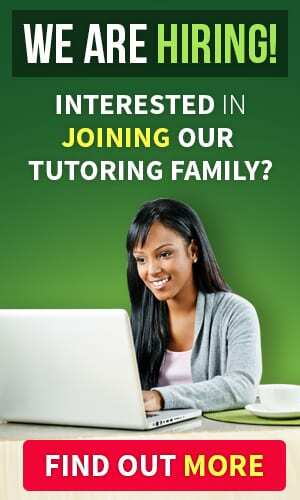 You no longer have to worry about finding appropriate tutoring services by word-of-mouth or professional referral – you can find tutoring services at the push of a button. Special Education Resource was created specifically to help children with special needs and their parents. Though special education services have been available for over 4 decades, there was a massive void of available services outside of the classroom for children with special needs. Started by Suzie Dalien, a special education teacher who felt the frustration of parents unable to find resources and assistance for their children, Special Education Resource provides a plethora of information and services such as special needs tutoring to help ensure these children reach their excellence. 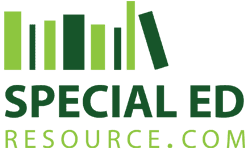 Special Education Resource helps children with special needs reach success by providing supplemental learning through special needs tutoring. This revolutionary tutoring service takes the curriculum currently being taught in your child’s classroom and reworks it to match their individual learning needs. There’s no sign of classroom sizes decreasing in the US, and with the national debt continuing to climb with that money being allocated in other places aside from education, available resources aren’t keeping up with demand. In recent years there has been a massive increase in parents taking the education of their children into their own hands in order to ensure success. Special needs tutoring directly increases academic grades and massively decreases the behaviors of children with special needs which are often associated with the frustration of being overwhelmed. Helping to build self-esteem, confidence and putting many children back on the path to success, special needs tutoring may be a viable solution to help your child. The first step in verifying whether or not special needs tutoring is the answer for your child is through a free consultation. The special needs tutor will answer your questions, provide guidance and help formulate a plan to ensure success. Knowledge is power, and for parents of children with special needs, the world of special education can be tough to navigate. Allow Special Education Resource to help end your frustration and finally receive answers to your most frustrating questions. Special Needs Tutoring can be lifesaving for children with special needs entering high school. If your child has struggled up to this point, it most likely will continue without providing additional assistance. Supplemental Learning through Special Needs Tutoring can quickly help a child of any age get back on track academically and minimize behaviors as well. High school can be a tough age for any child, however without the correct individualized preparation and continued maintenance it can be paralyzing for children with special needs who struggle with change. Through molding the curriculum your child is currently being taught at school in a way that matches their individual learning style, a special needs tutor can help to ensure a bright future for your young adult.